Wine Soundtrack allows wine lovers to listen to the hopes, dreams, intuitions, prospects, loves and passions of the protagonists of the wine world, directly from their own voice. Wine Soundtrack Educational impara con noi muoverti tra i termini più diffusi e utili nel mondo del vino. La spiegazione dei lemmi del glossario è scritta da Luca Maroni e pubblicata nel suo Metodo e nel suo Annuario dei Migliori Vini Italiani, le voci sono di Morgana Forcella, Roberto “Bibi” Gismondi e Massimo Cervelli. Wine Soundtrack, one of Italy’s leading podcasts about wine, is the voice of the Italian wine growers and winemakers. 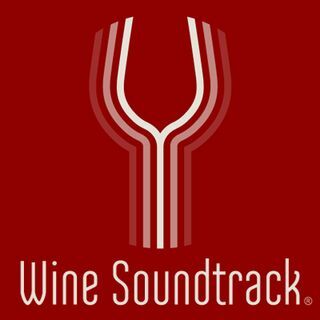 Wine Soundtrack was launched in Italy in May 2017 and is now launching in the U.S. In each podcast, wine producers share the story of who they are and their winery through a series of 30 questions. Wine Soundtrack was ... See More created to bring to life an idea of sharing and insight; it allows wine lovers to listen to the hopes, dreams, intuitions, prospects, loves and passions of the protagonists of the wine world, directly from their own voices. Wine Soundtrack will make you smile and amuse you through the voices of those who have decided to express their own character, their own dreams and their own ambitions in each bottle of wine. Wine Soundtrack will lead us through the vineyards of ideas and of visionary thinking and will share the passion of these producers.